Good post. 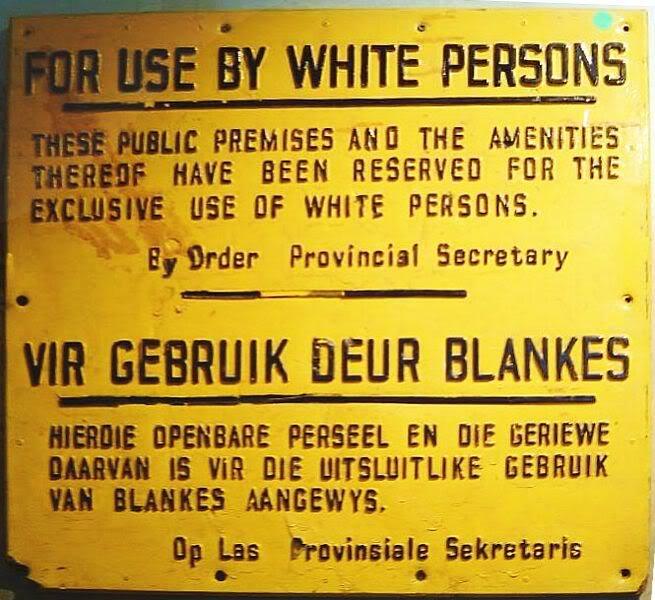 Although I do agree with your stance regarding the resurgence of Apartheid in the US, but we can’t deny there is a subtle segregation happening in the form of gentrification. Thanks. I wish I knew more about the subject. If you have good sources, please share! Really appreciate it. Are you in NY? Why aren’t all Asian Americans “systematically marginalized, socially, economically, and politically”? Good question. I guess I meant to point out that the model minority myth has the affect of marginalizing, even making invisible, economically disadvantaged Asian immigrant groups such as the Vietnamese and the Hmong who suffer rates of poverty comparable to that of African Americans. Agreed but it could be argued that it also diminishes the social problems of those who it supposedly elevates. I get your point though, some Asian American groups are quite badly off. Hi, have you heard of / seen Eduardo Bonilla Silva’s 2004 article on a (possibly) emerging tri-racial system? He says this system will develop in response to the change in U.S.demographics. It’s pretty compelling–I mean, he makes some overreaching statements, but if the powers that be are invested in maintaining inequity (and I believe that they are) to further their own interests, it’s possible. No, but I’m glad to have found it. Thanks for sending it to me and for your blog. Love your blog. Thanks so much! Would also like to hear your thoughts on the article after you read it. Excellent insight here had to reblog it! Thanks! Can’t wait to see what you’re writing! Sorry for the delayed response. Work in Progress but thanks for the reply! I definitely agree that the trends you mentioned structurally amount to something similar to apartheid—a deepening of structural racism that could result in a plurality of white people retaining power as the country’s demographics shift. That’s not good for anyone, including white people—the cultural, financial and spiritual costs of such policies is just to high for us. Working class and poor people get economically punished in this situation, not just people of color. As I’ve mentioned elsewhere (www.alltogetherhuman.org), that’s why now is the time to dissolve political wedges and consolidate support by the substantial minority of white people who do see our interests aligned with people of color and other marginalized people/identities. We can get out ahead of this thing, but it will take some investment.